Glorifying God part one	What is the Grace of God? John 17:1-5 Father, the hour has come. Glorify your Son, that your Son may glorify you. 2 For you granted him authority over all people that he might give eternal life to all those you have given him. 3 Now this is eternal life: that they know you, the only true God, and Jesus Christ, whom you have sent. 4 I have brought you glory on earth by finishing the work you gave me to do. 5 And now, Father, glorify me in your presence with the glory I had with you before the world began. Even with our limited understanding of the full knowledge of Gods power, we know glorified is something great. 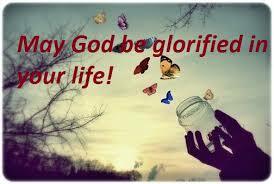 Jesus should be glorified in our lives and we should bring God glory with our lives. 1 Corinthians 10:3 So whether you eat or drink or whatever you do, do it all for the glory of God. When Jesus was on earth He did everything to glorify His Father in His own life and in His teaching, ministering and preaching. How can we do any less? God is my Father and Jesus Christ is my Savior. I want people to see them exemplified in my life! I need to be set apart in my moral and spiritual character. In this way I will glorify my Father God. I have a blessed spiritual life thanks to Jesus giving His life for me. He did this so by His sacrifice I could saved and live a life pleasing to God. . 1 Corinthians 6:20 for ye are bought with a price: therefore glorify God in your body, and in your spirit, which are God’s. John 7:39 By this he meant the Spirit, whom those who believed in him were later to receive. Up to that time the Spirit had not been given, since Jesus had not yet been glorified. So you see…God has provided everything we need so that we can glorify Him in our lives. Jesus bought God glory by His whole act of obedience in His ministry and personal sacrifice when He was here on earth. 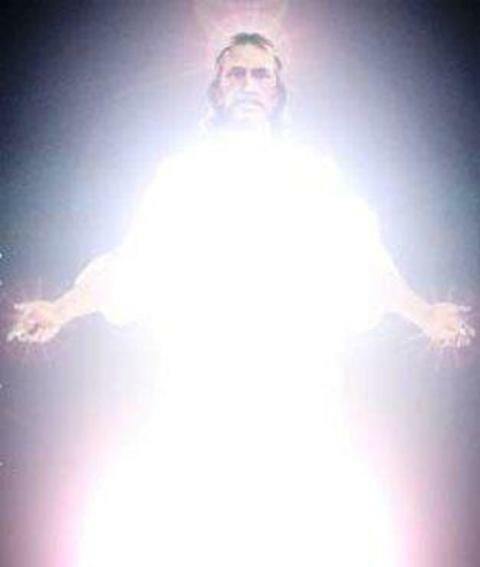 Jesus was given back His supernatural glory after He finished his earthly work. 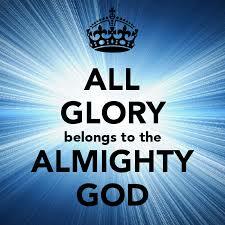 God bestowed on His Son the wonderful awesome Glory that can only come from God alone. No other being can ever give Glory besides God himself!!! Why is this important to dwell on this? We need to understand who we represent. We need to know how important it is to glorify Our God and His Son in our lives. If we don’t watch our own backs and humble ourselves, if we don’t lift up Jesus and glorify Gods name through our lives this might happen…Psalms 4:2 How long will you people turn my glory into shame? How long will you love delusions and seek false gods. This is the at that point repentance is needed so that we can again glorify God. John 16:13-14 But when he, the Spirit of truth, comes, he will guide you into all the truth. He will not speak on his own; he will speak only what he hears, and he will tell you what is yet to come. 14 He will glorify me because it is from me that he will receive what he will make known to you. Others will see the glorified Christ in us and want Him for themselves. This is our purpose in our Christian life…to bring God glory. We are to be set apart from the world. Our bodies and our actions should exemplify Christ 24/7 even when we are alone. People should see the light of Jesus in us and we should shine revealing the glory of God in us. This will expose God to the world. The Holy Spirit lives in those who have accepted Jesus as their Lord and Savior. We are Gods representatives! 1 Corinthians 6:19-20 Or do you not know that your body is a temple of the Holy Spirit who is in you, whom you have from God, and that you are not your own? 20 For you have been bought with a price: therefore glorify God in your body.